This panel discussion, featuring experts from institutions across the world, will focus on the challenges faced by scientists in navigating cell therapy regulation. It aims to assess current public and scientific understanding of the processes involved, and will discuss our expert's predictions for how regulation may evolve in the future. Cell therapy is a fast-developing field with the potential to transform healthcare. However, cells carry significant potential risks and therefore need careful and regulated investigation and application to ensure practice is effective, safe and ethical. The RegMedNet spotlight on cell therapy has been providing insight into topics such as global policy and the challenges of steering through the regulatory landscape for both academic researchers and manufacturers. We hope this discussion will be an insightful resource bringing together the latest knowledge and providing the current perspectives on cell therapy development, regulation and commercialization, and stimulating discussion about the future directions of this field. James L. Sherley, M.D., Ph.D. is the founder and director of U.S. biotech start-up Asymmetrex, LLC. Asymmetrex develops and markets technologies for advancing stem cell medicine. Dr. Sherley is a graduate of Harvard College, with a B.A. degree in biology, and the Johns Hopkins University School of Medicine, earning joint M.D. and Ph.D. degrees. Prior to founding Asymmetrex, he held academic research appointments at the Fox Chase Cancer Center, Massachusetts Institute of Technology, and Boston Biomedical Research Institute. Dr. Sherley’s professional awards include Pew Biomedical Research Scholar, Ellison Medical Foundation Senior Scholar in Aging Research, and NIH Director’s Pioneer Award. Mark W. Sawicki, Ph.D., is Chief Commercial Officer of Cryoport, a provider of end-to-end cold chain logistics solutions to the life sciences industry. 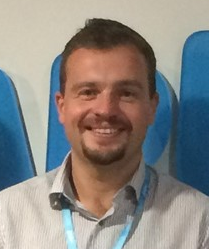 Sawicki, who has more than 15 years’ experience in the pharmaceutical and biotechnology industries, holds a bachelor’s in biochemistry from the State University of New York at Buffalo and a Ph.D. in biochemistry from the State University of New York at Buffalo, School of Medicine and Biomedical Sciences. He also received graduate training at the Hauptman Woodard Medical Research Institute. Sawicki has authored a dozen scientific publications in drug discovery with a focus on oncology and immunology. Patrick Bedford helps regenerative medicine developers navigate regulatory pathways and progress to the clinic. For 10 years prior to working at CCRM, Patrick worked at Health Canada and developed specific expertise relating to health product classification; biosimilars; human cells, tissues and organs for transplantation; and, cell and gene therapy regulation. Patrick holds an Honours Bachelor of Health Sciences Degree from the University of Western Ontario; a Master’s Degree in Bioethics and Health Law from the University of Otago; and a Regulatory Affairs Certificate (Canada) from the Regulatory Affairs Professional Society. 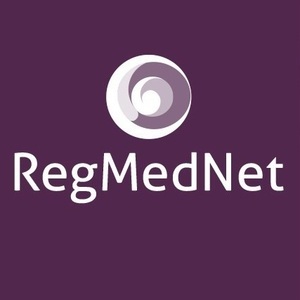 View other content from our Spotlight on cell therapy regulation here and for a full list of other webinars available on RegMedNet please see here.